At Eddy’s Mazda, we’re proud to offer Overland Park exclusive savings on vehicles like the Mazda CX-5 and the Mazda CX-9, but we’re also pleased to take part in national offers that can save you even more on the car or SUV of your choice. 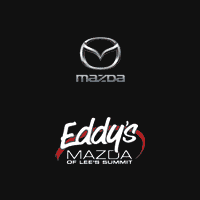 Why Choose Eddy’s Mazda of Lee’s Summit? When it comes to power, performance, and innovation, no one on the road does it quite like Mazda. Contact an associate at Eddy’s Mazda of Lee’s Summit to learn more.